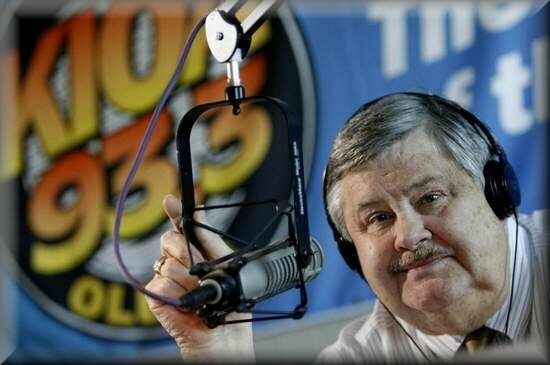 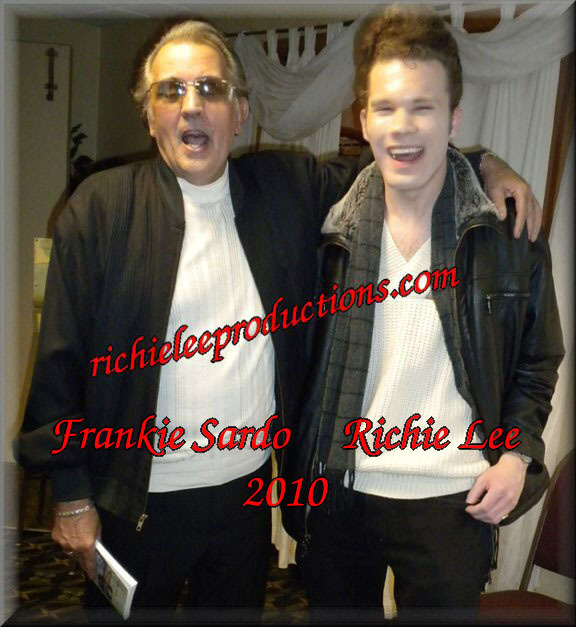 February 26, 2014 ~ You will be missed Frankie. 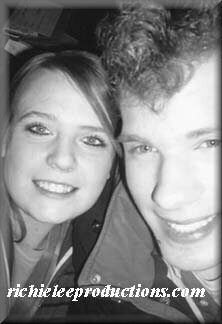 Glad I got the chance to meet you at the Winter Dance Party 2010. 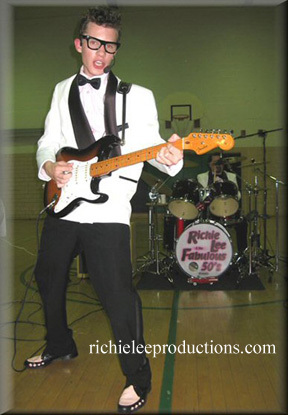 I had just finished a Buddy Holly!﻿ Ritchie Valens﻿ tour playing at the same places as in 1959. 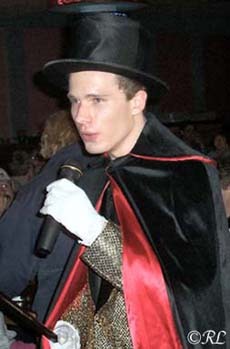 At all the shows I sang "Fake Out". 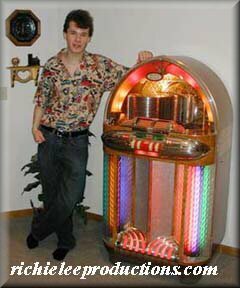 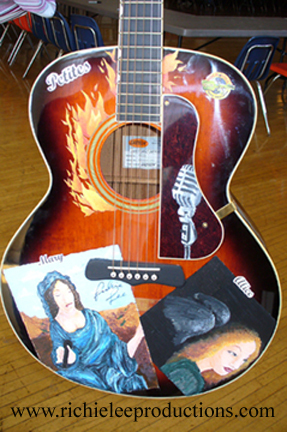 Love all your songs. 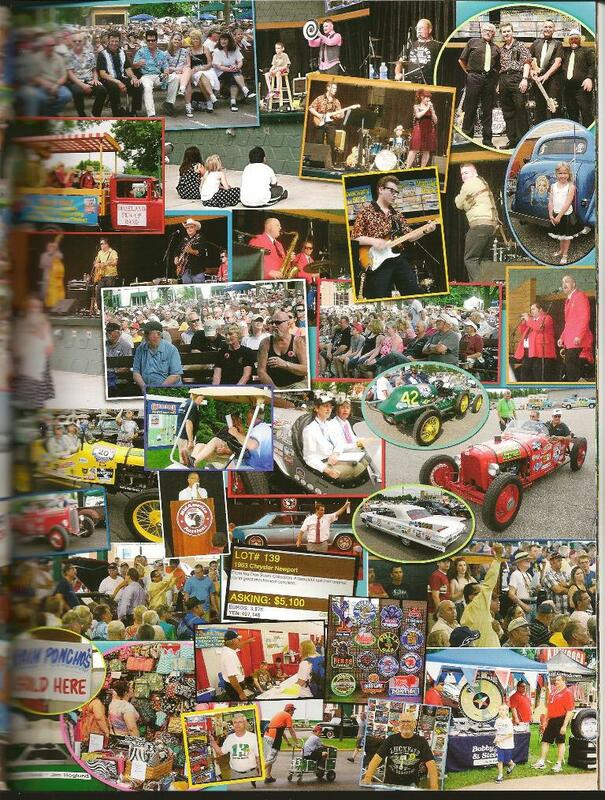 Thanks to the sponsors at Mower County Fair in Austin, MN especially Midwest Diesel! 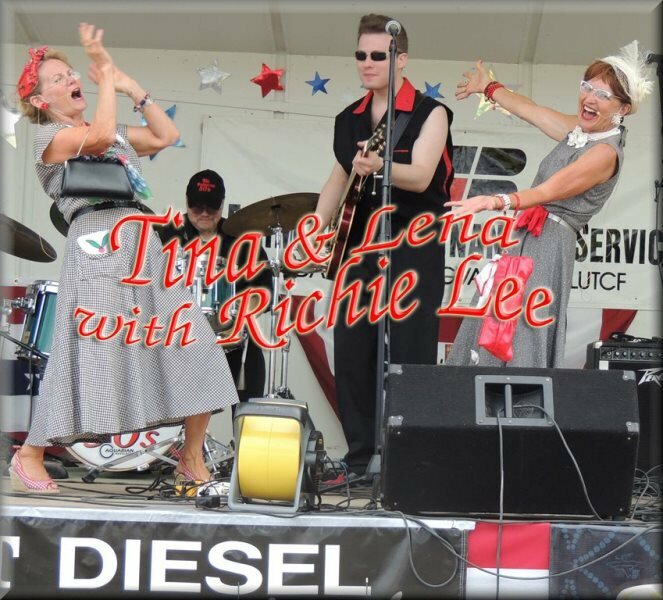 Friday, June 21st 20013 at the 'Back to 50's' Car Show at the MN State Fairgrounds. 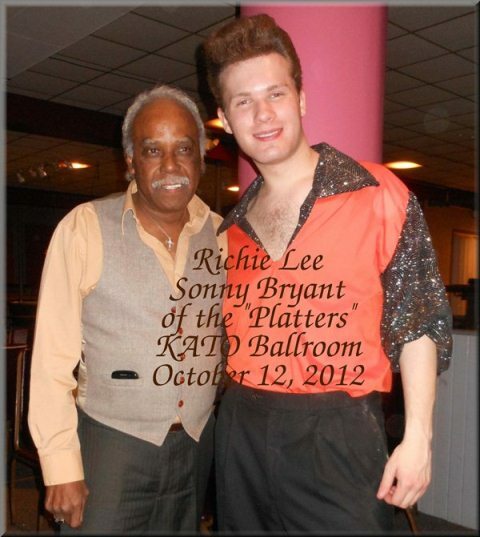 Fun night at the KATO Ballroom in Mankato, MN when "Sonny Bryant" of the "Platters"
came on stage for a couple of the 'Platters songs' on October 12, 2012.
appearances with "BOBBY VEE", "TOMMY ALSUP", "JERRY NAYLOR", " BIG BOOPER JR", just to mention a few! 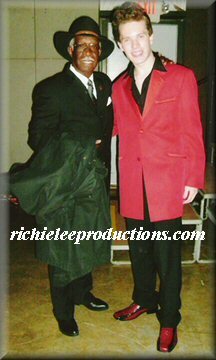 many times to donate his time & services to the IRRMA organization, and never once turned down the opportunity to help when help was needed! 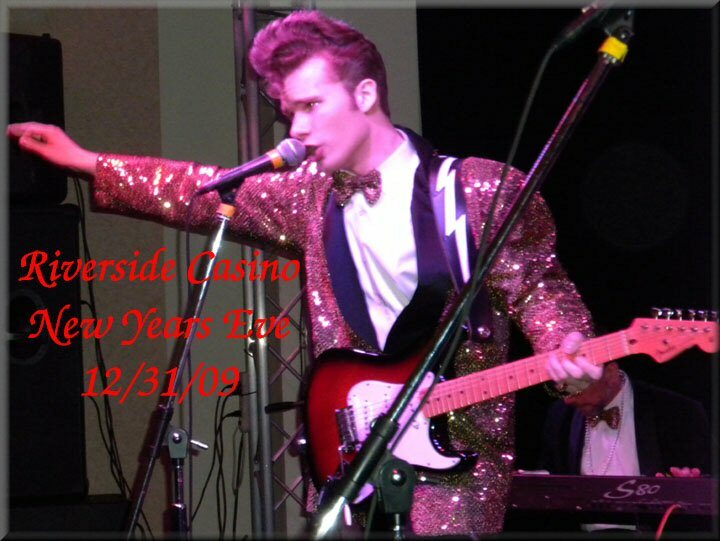 He and his band are the Number 1# top drawing card at the Riverside Casino just South of Iowa City. 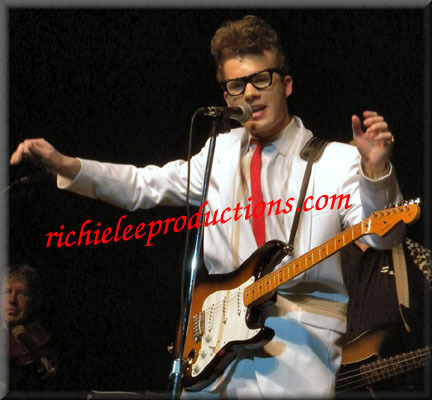 not only does he look like "Buddy Holly", but sings like "Buddy Holly". 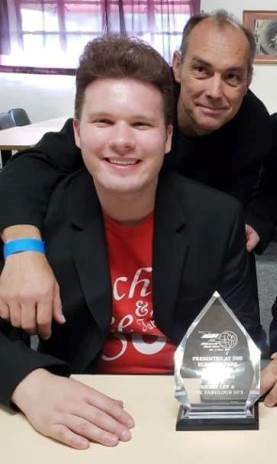 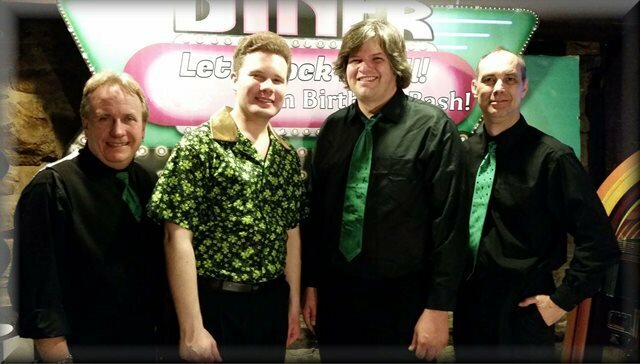 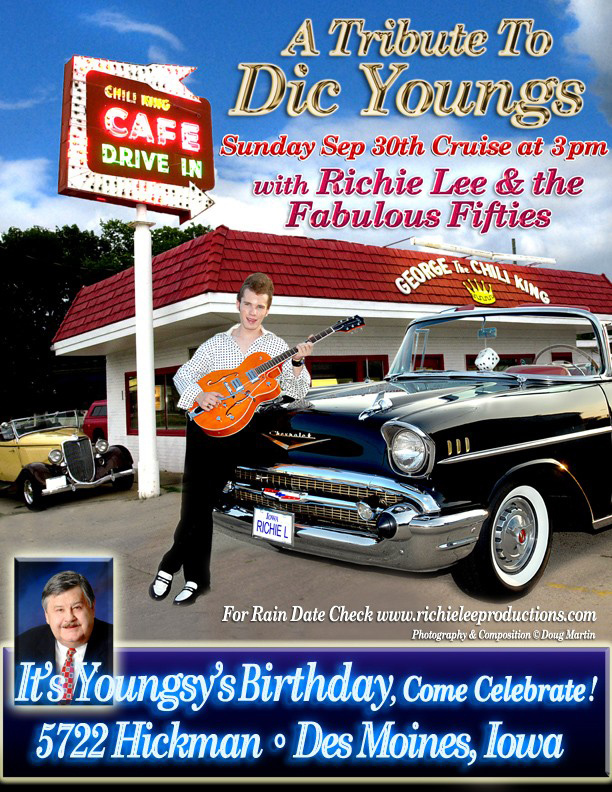 Dic Youngs' heart was so big and loving, his love of classic rock and roll and children will continue on at the Val Air Ballroom. 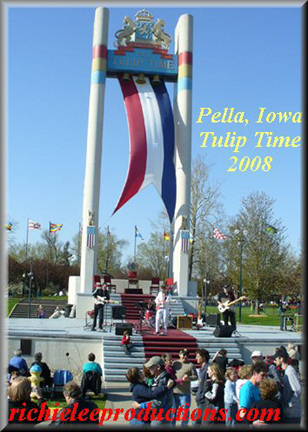 Portions of sales go to Variety - The Children's Charity and the West Des Moines Historical Society. 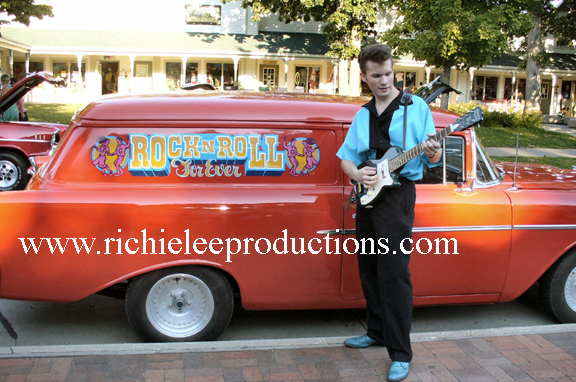 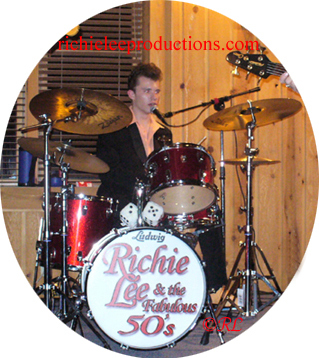 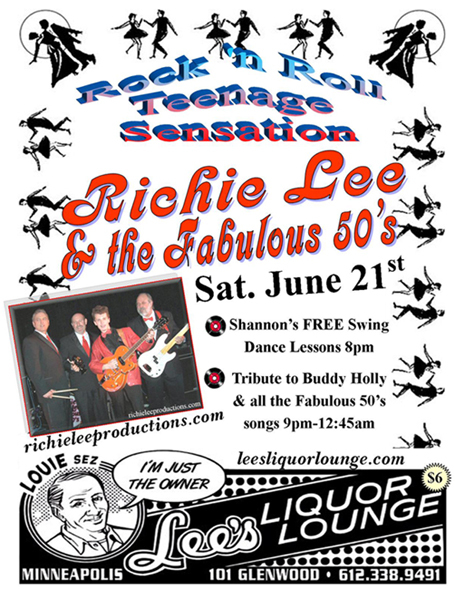 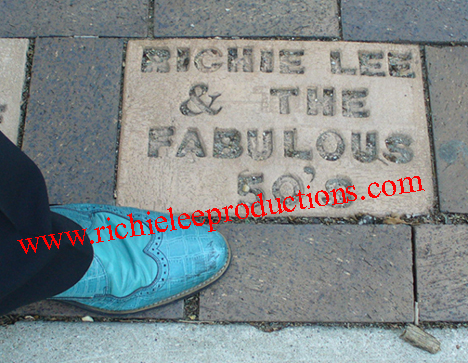 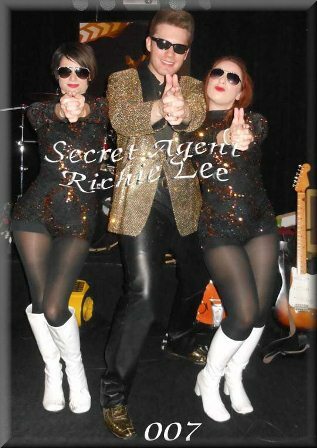 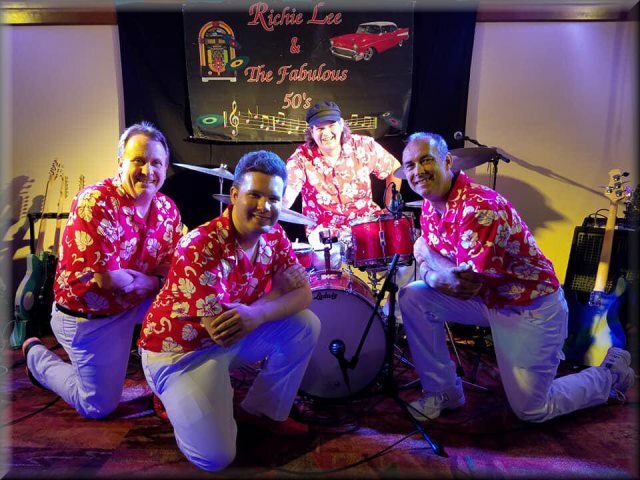 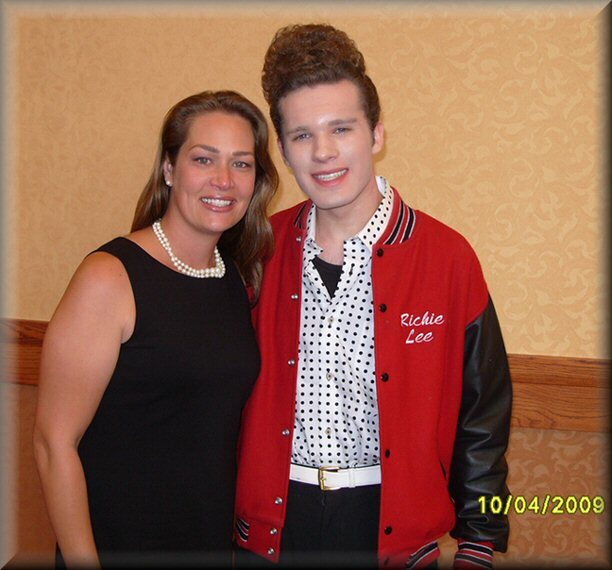 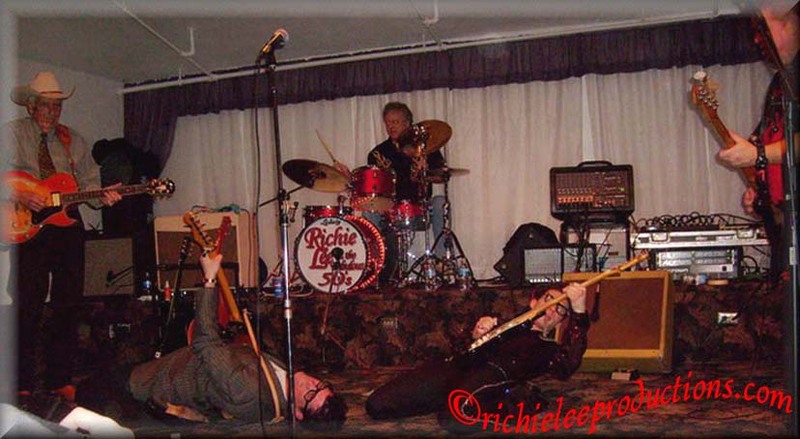 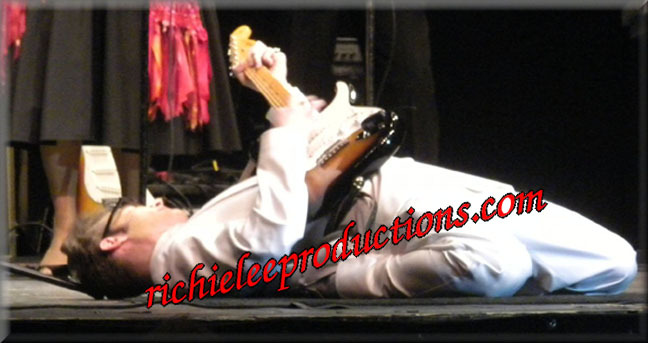 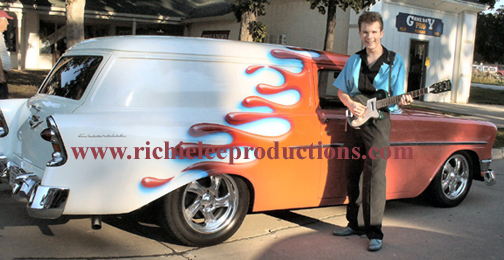 Richie Lee & The Fabulous ’50s and Echo’s V. It’s all the 50s music one could ask for! 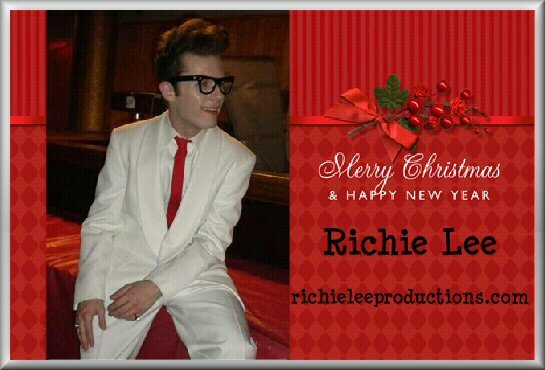 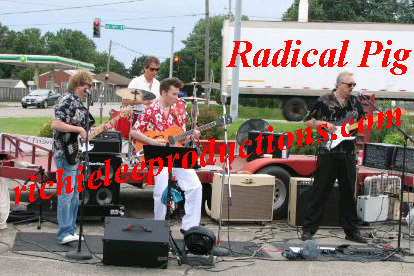 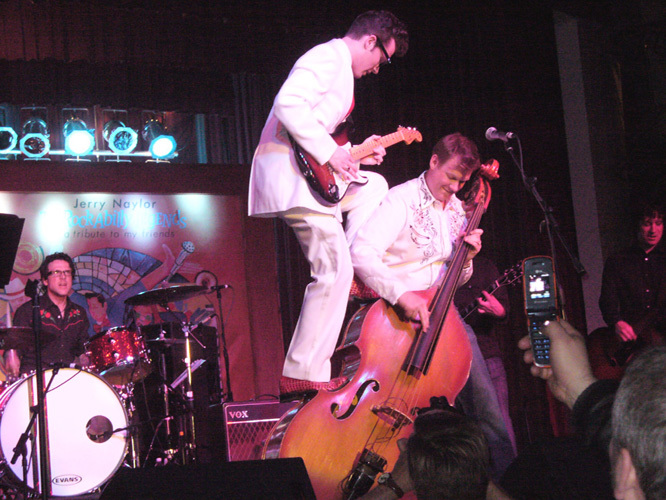 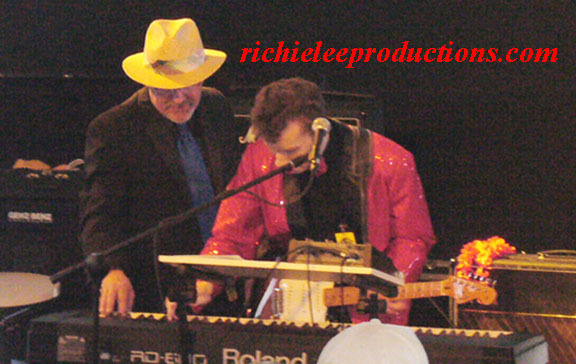 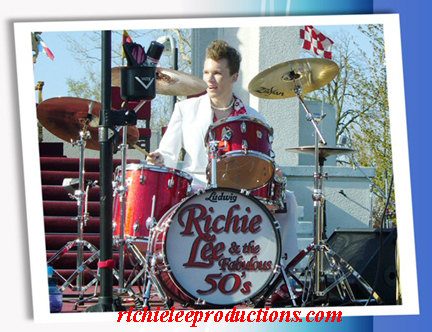 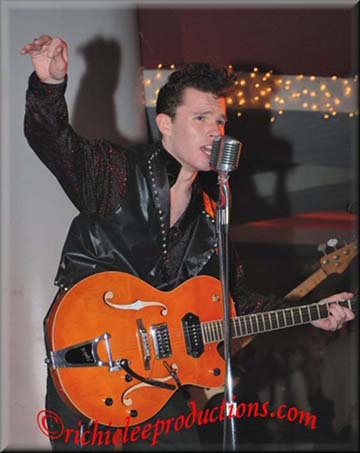 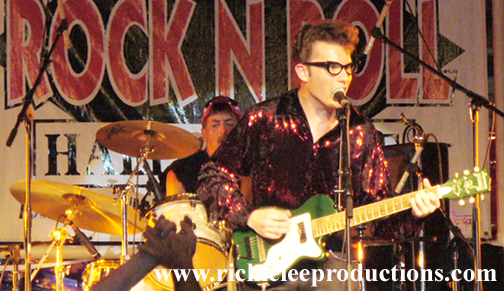 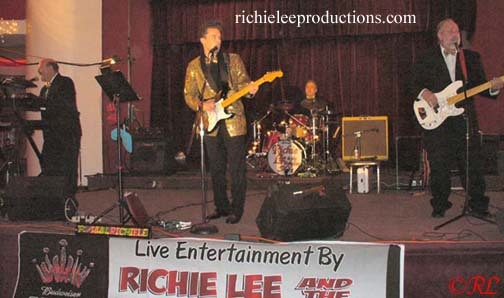 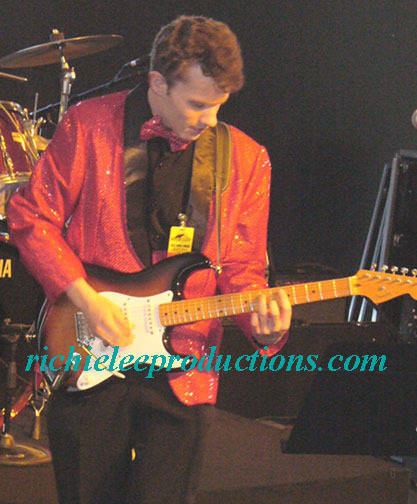 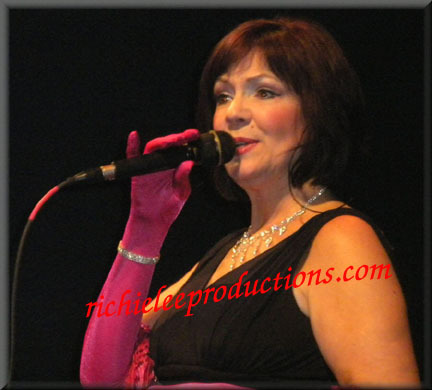 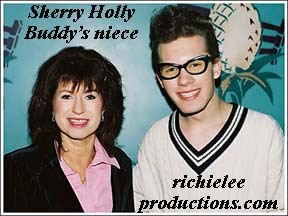 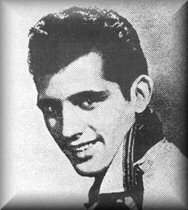 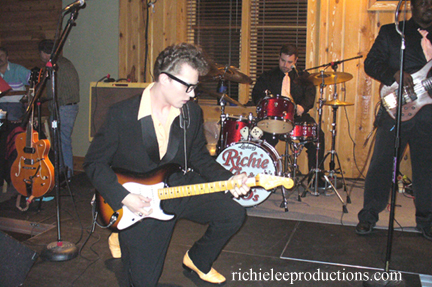 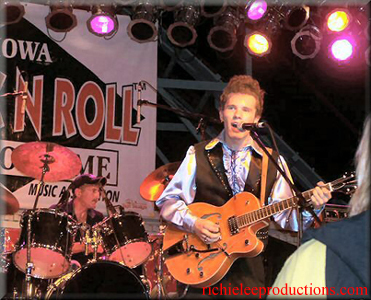 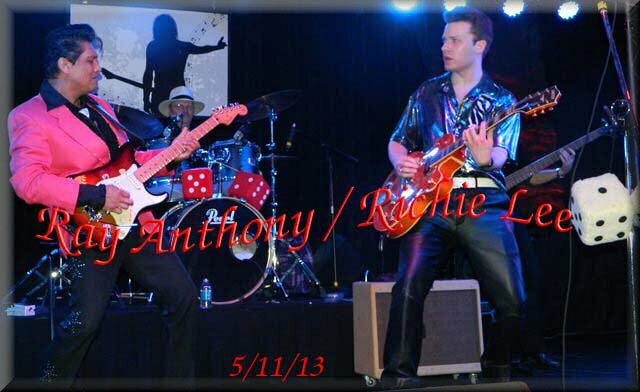 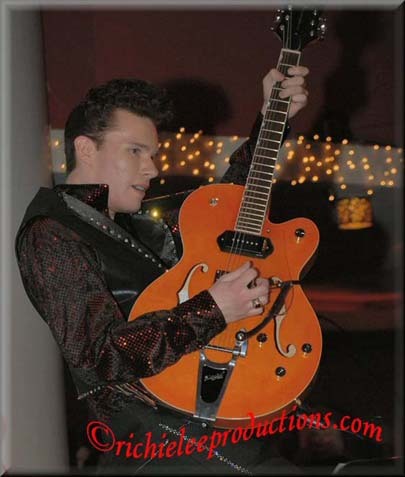 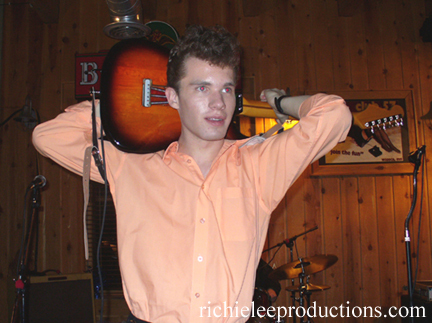 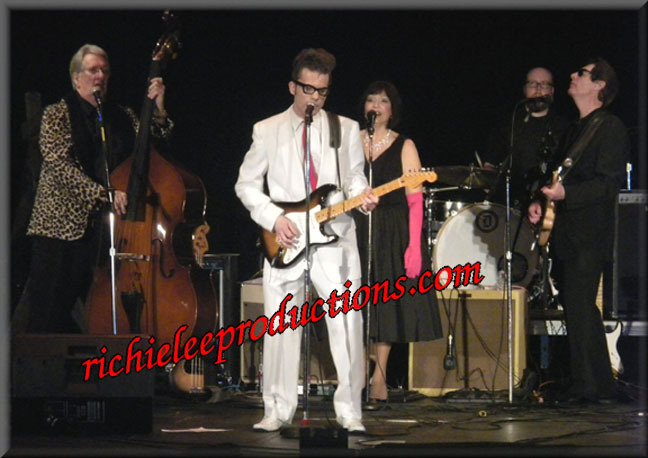 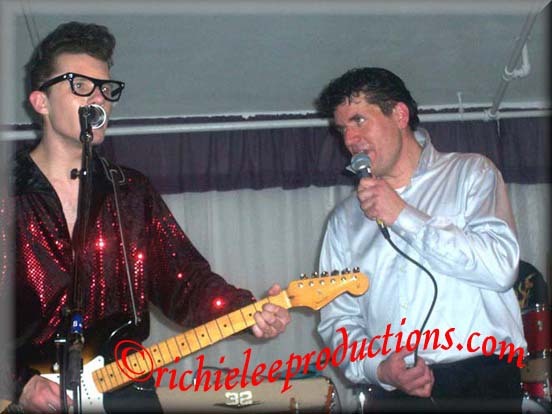 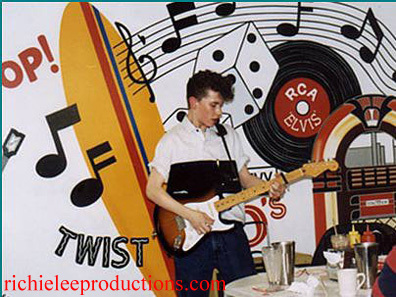 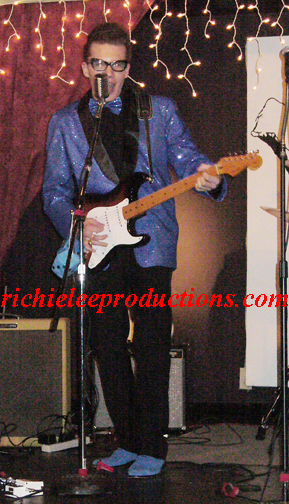 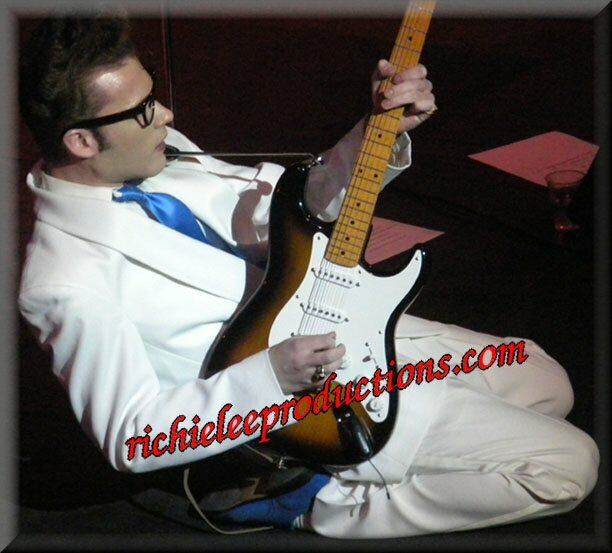 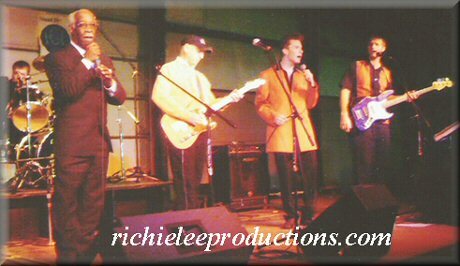 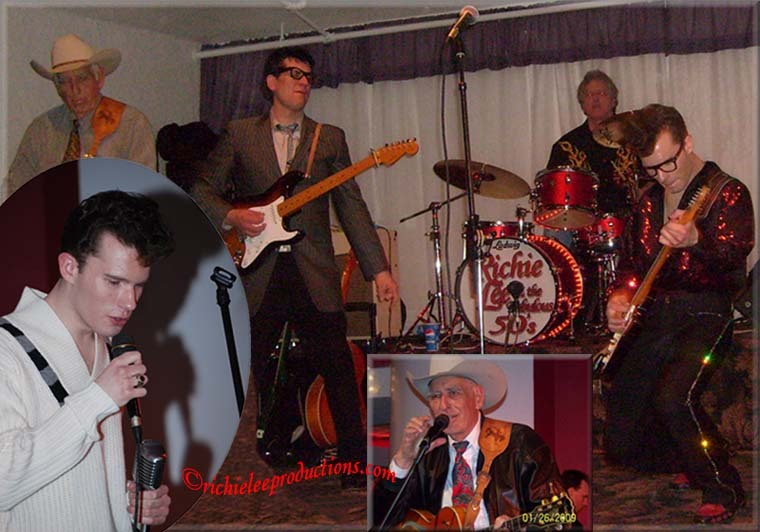 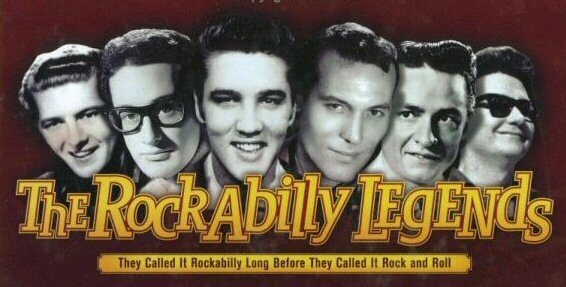 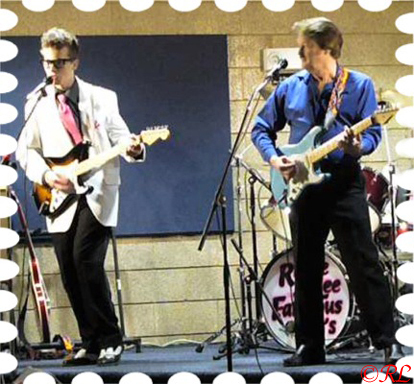 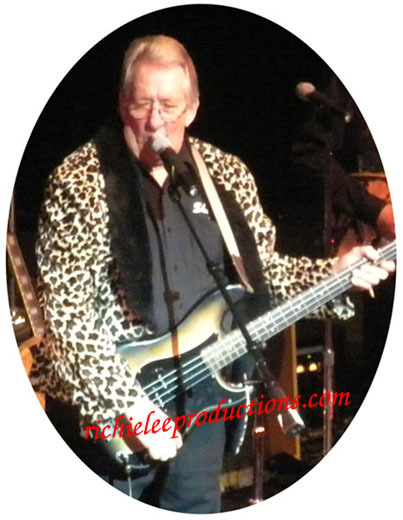 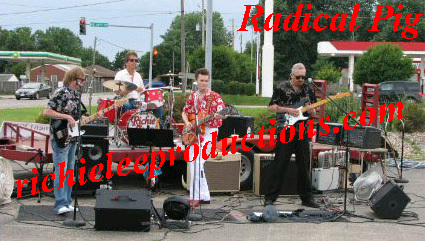 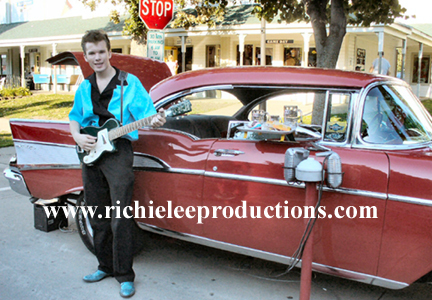 Richie Lee and the Fabulous Fifties amaze crowds by performing Buddy Holly hits and other great sounds from the 1950s. 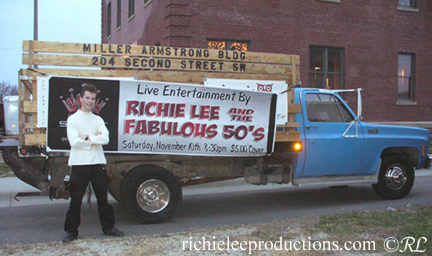 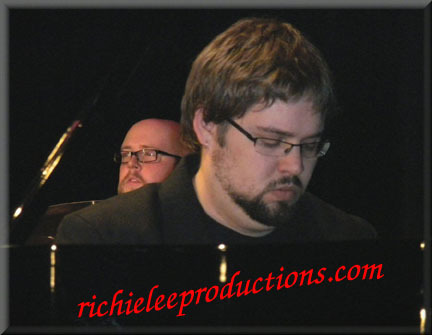 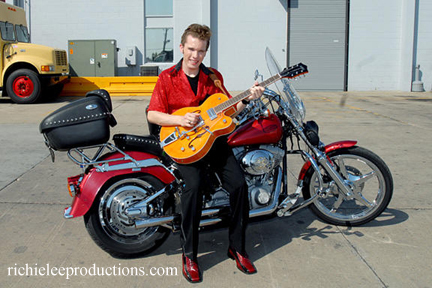 Richie Lee has been performing since the age of 8, and now at 20 the Des Moines native is still entertaining people of all ages. 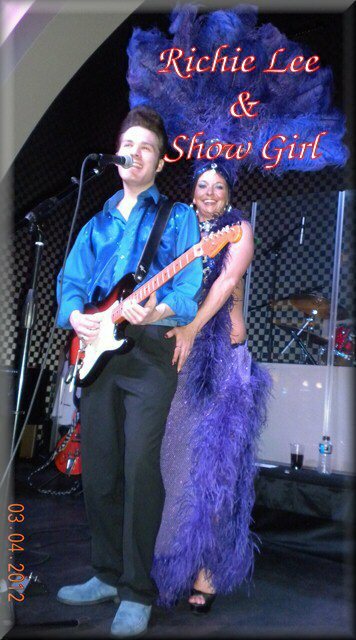 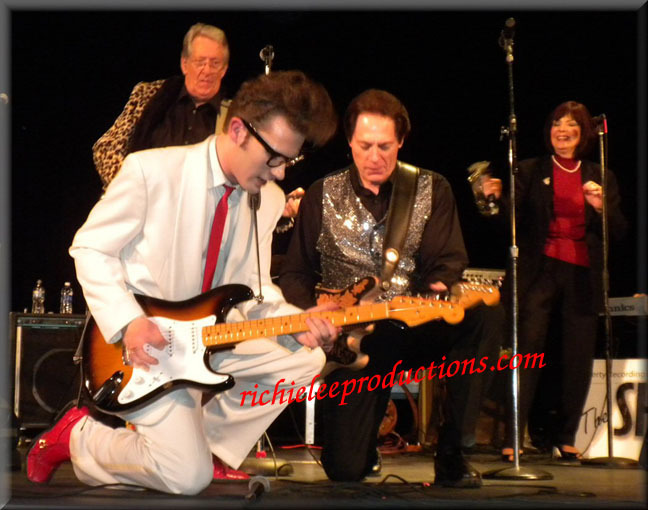 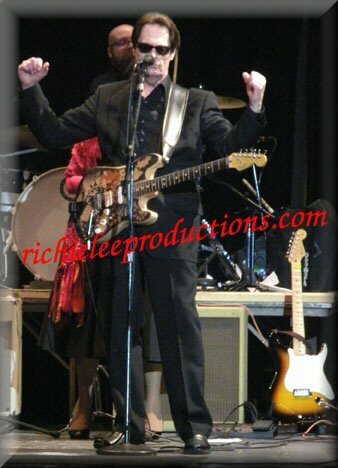 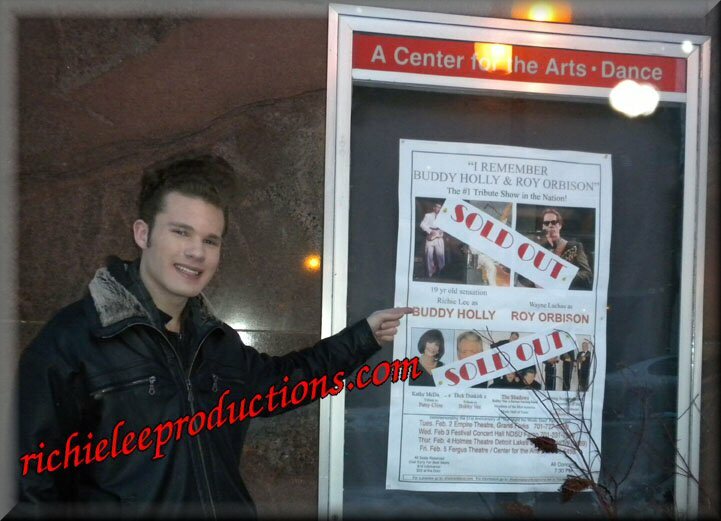 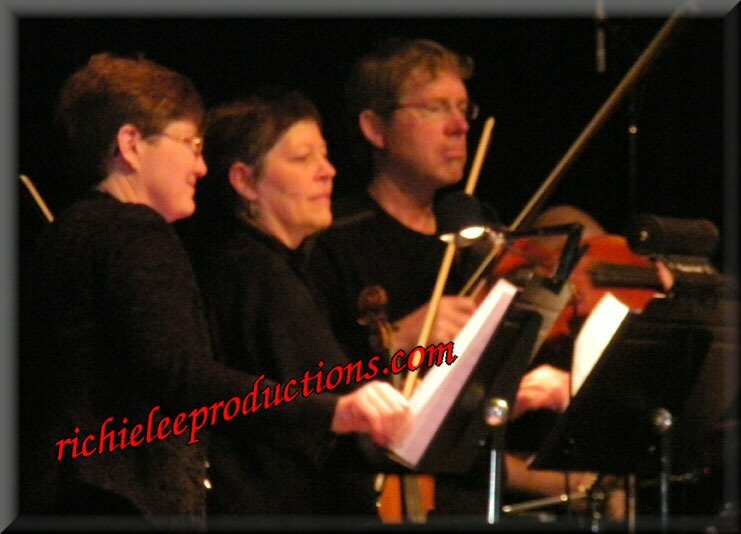 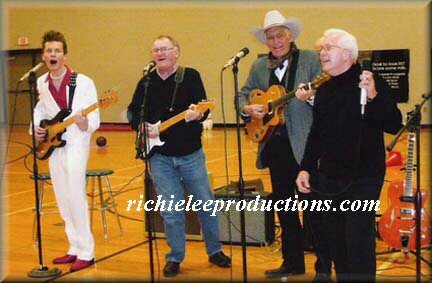 Richie Lee on tour as "Buddy Holly" with Wayne Luchau as "Roy Orbison", Kathy McDaniel as "Patsy Cline"
February 26, 2014 ~ You will be greatly missed Frankie Sardo. 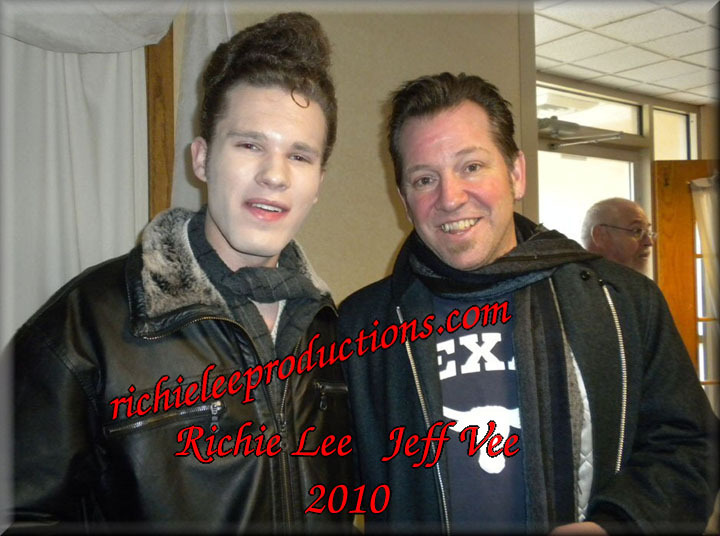 Glad I got the chance to meet you at the Winter Dance Party 2010.
he played "Burning Ring of Fire" by himself on stage during the concert of the 10 inductee bands. 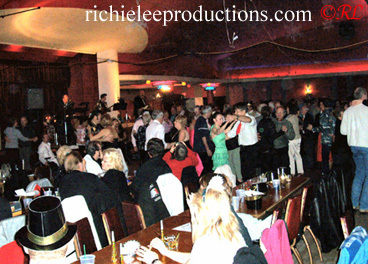 Richie standing on base at the Surf Ballroom! 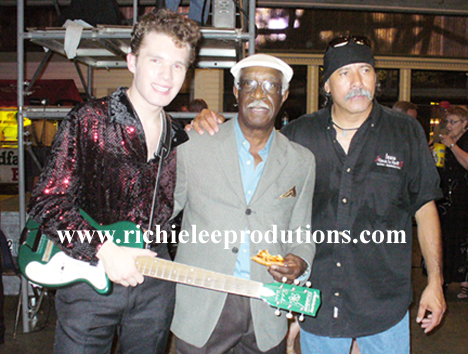 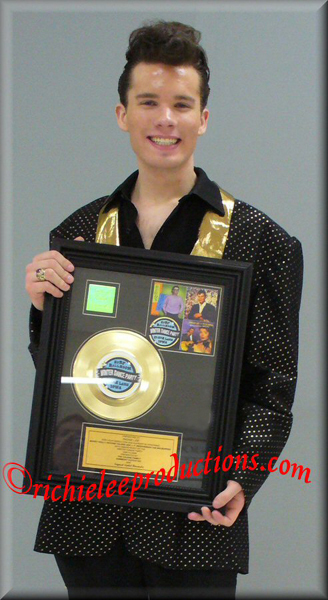 Ritchie Valens family presented Richie with a gold record in tribute to their brother. 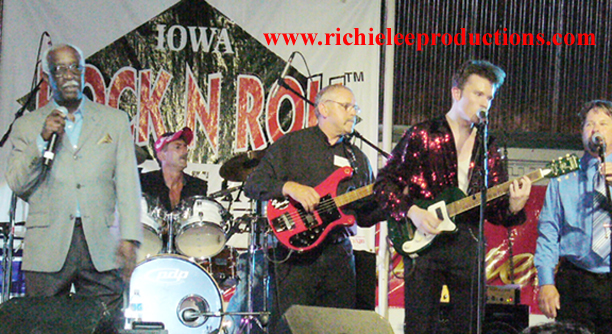 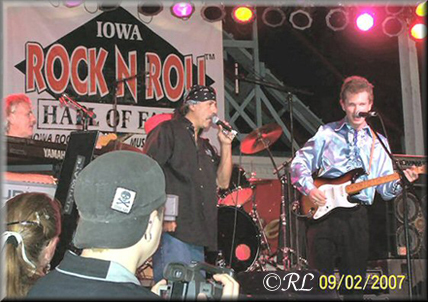 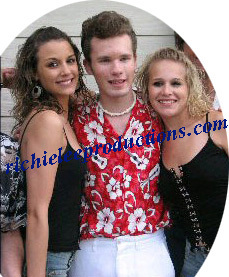 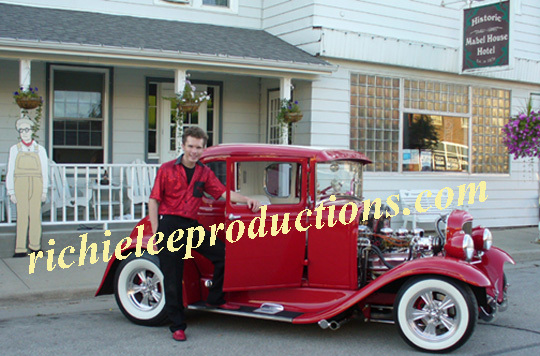 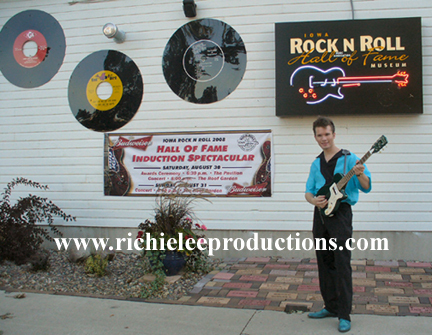 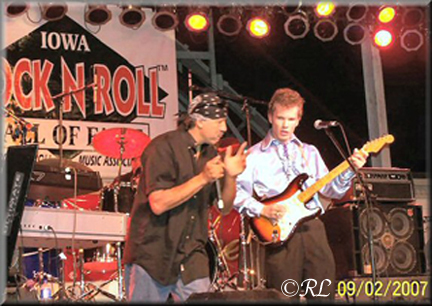 Richie had a fantastic Labor Day weekend at Arnold's Park, at the Iowa Rock 'n Roll IRRMA concert. 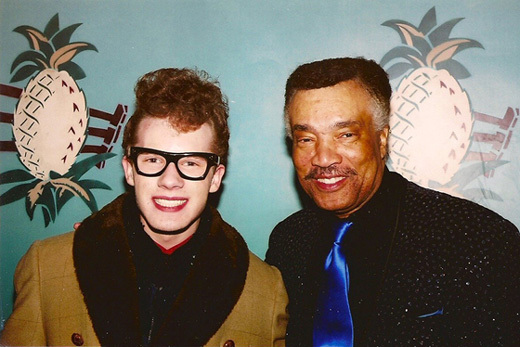 and with James Freeman, who is an original member of The Five Satins. 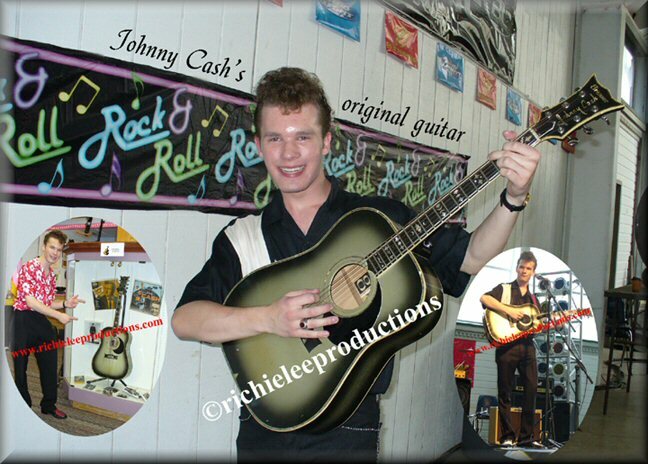 Sunday night he was asked to play the original Johnny Cash guitar that is on display in the museum there. 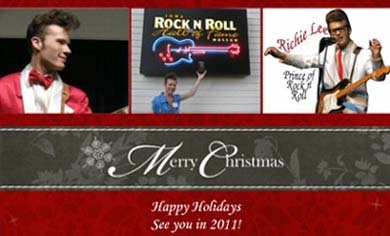 "Buddy's spirit is living on through Richie 50 years later!" 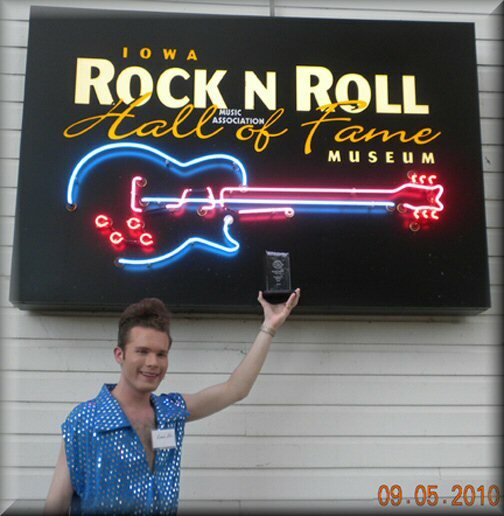 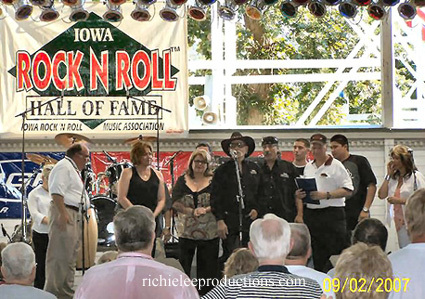 Well it's official Ritchie Valens is a new member of the Iowa Rock and Roll Music Association Hall of Fame. 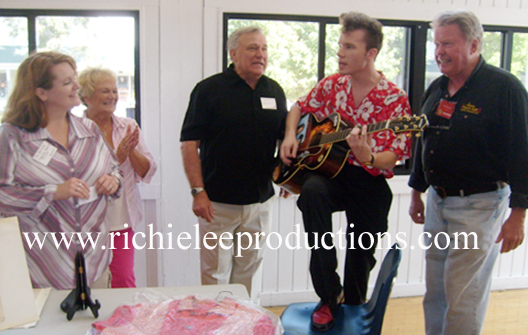 The Family had a great time 10 members of Ritchie's family attended as Ritchie was inducted. 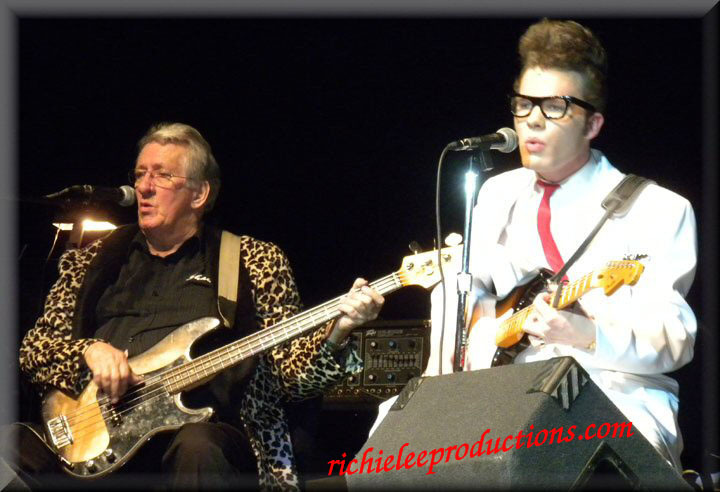 3. they are both mega talented with voice and guitar. 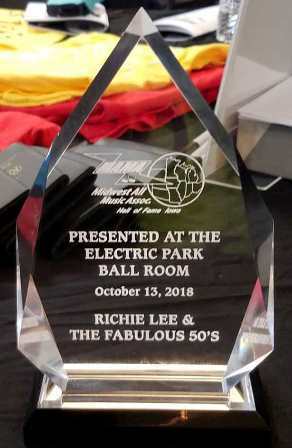 Thank you Ritchie both of you. 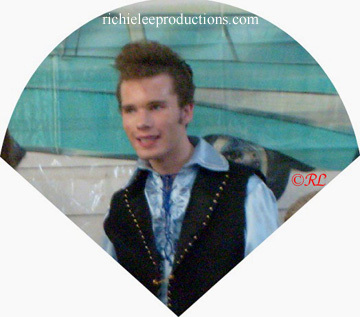 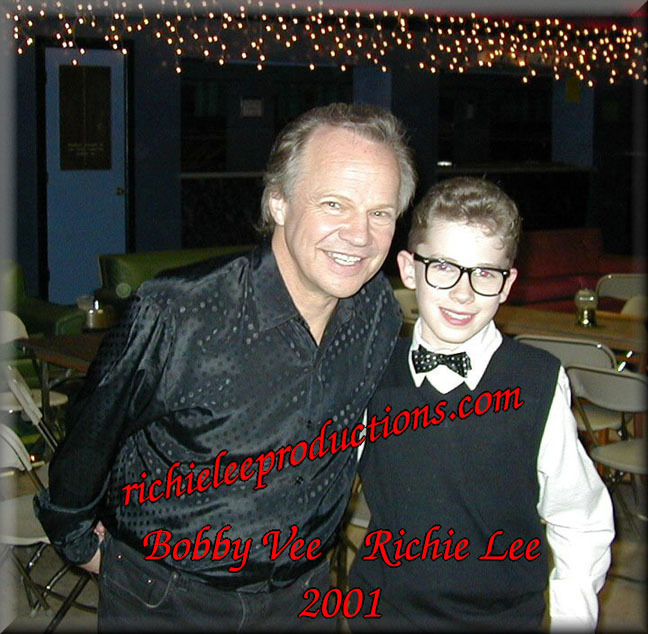 Great honor to know Bobby Vee!